As a psychiatric term ‘depression’ dates back only as far as the mid-nineteenth century. Before then a wide range of terms were used: ‘melancholy’ carried enormous weight, and was one of the two confirmed forms of eighteenth-century insanity. 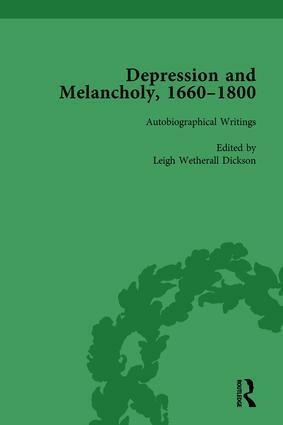 This four-volume set is the first large-scale study of depression across an extensive period.